Draw cards. Steal ships. Talk like a pirate. 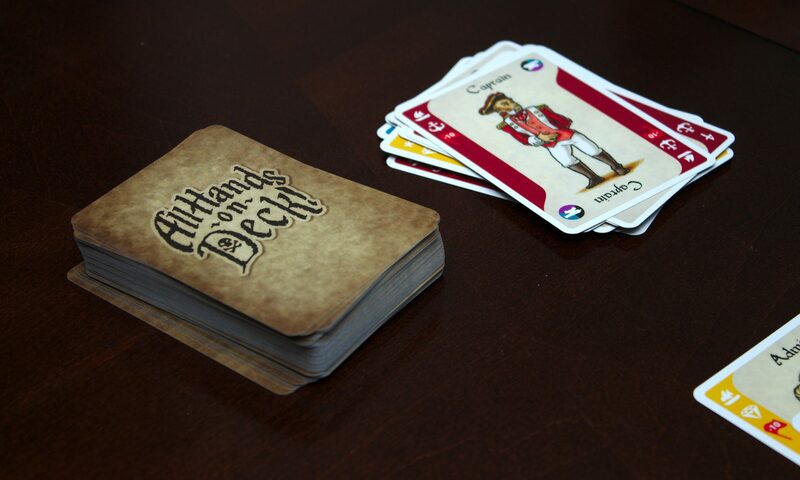 A pirate-themed family-friendly card game of ship building and battles. Features the artwork of Rachel Hoffman-Bayles. Draw cards, steal ships, talk like a pirate! Avast! This game is still in development. See the description below for details. We’re still developing this game, but we wanted to make it available for you for the holidays. We will be doing a full release in the coming months, but in the meantime, you can buy this special Prerelease Edition of our game. Printed instructions are not included. You may download printable instructions here. The price is higher than we expect the final version. Because this is a prerelease version, we have to do a small run and therefore the price will be higher. If you just can’t wait to get your hands on a copy, we’re making it available to you now. If you’d like to wait, be sure to sign up for our newsletter so you can get notified when we release the full version with a custom box and instructions included.